written in 1892 by Mr Mawle, owner of Cogges Farm, near Witney, Oxfordshire. 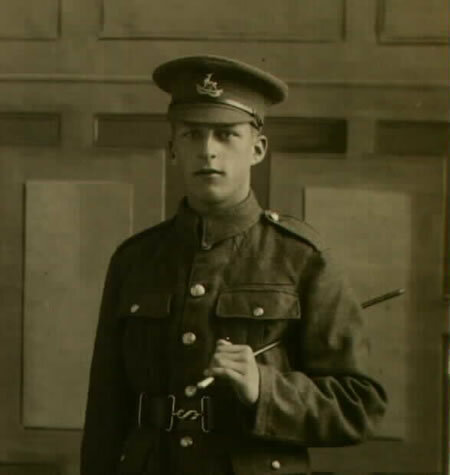 Percy was born on 9 June 1899, was called up on 10 June 1917 to join the Worcester regiment, died of wounds on Sunday 16 June 1918 and was buried at Les Baraques military cemetary at Sangatte, near Calais, France. 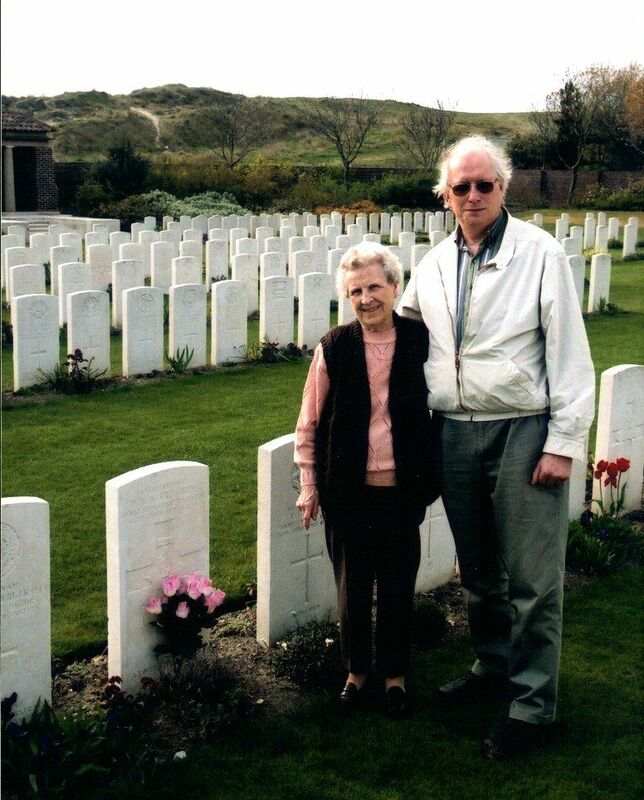 Percy's sister Marjorie and nephew Mike Brogden at his war grave (with Marjorie's pink flowers) near Calais in 2002. Marjorie was not quite two years old when her brother was killed. This cemetary is beautifully cared for; the staff and the Commonwealth War Graves Commission are to be congratulated. 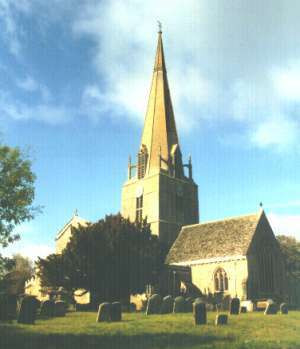 Bampton Parish Church where the first recorded Oxfordshire Brogden, George, married Elizabeth Brown on 1 January 1709. 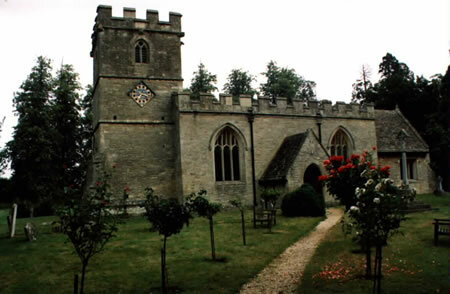 Their eight children were all born in Stanton Harcourt, including Richard back to whom we are able to trace many of the Oxfordshire Brogdens, Brogdens who moved to neighbouring Berkshire and Brogdens who emigrated to New Zealand. 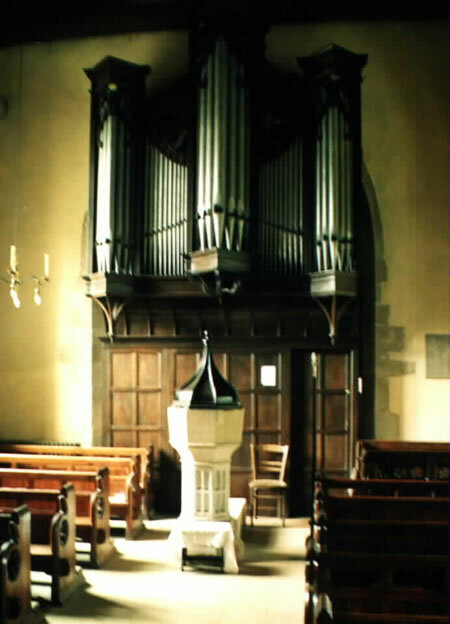 The fifteenth century font at St James the Great, South Leigh, where several Brogdens were baptised. 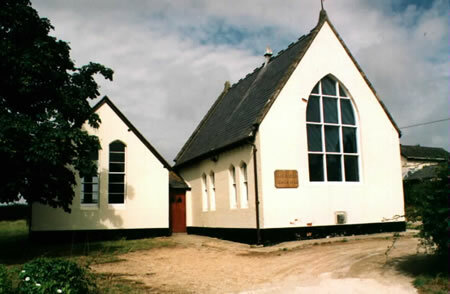 The village school at South Leigh, opened in 1871, closed in 1946. Did any Brogdens go to school here? 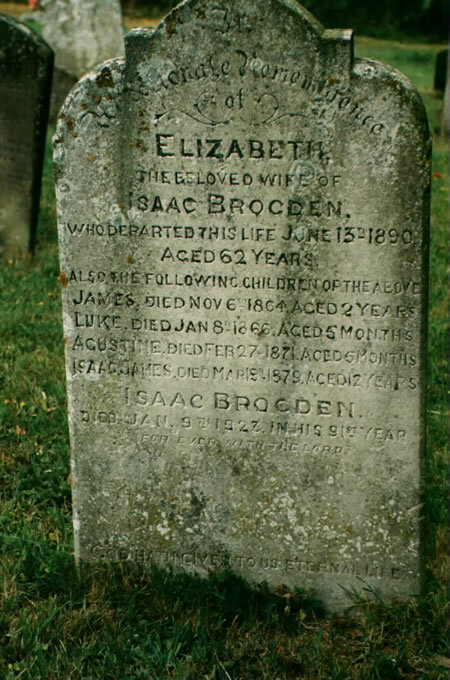 The only Brogden gravestone in the St James, South Leigh, churchyard. 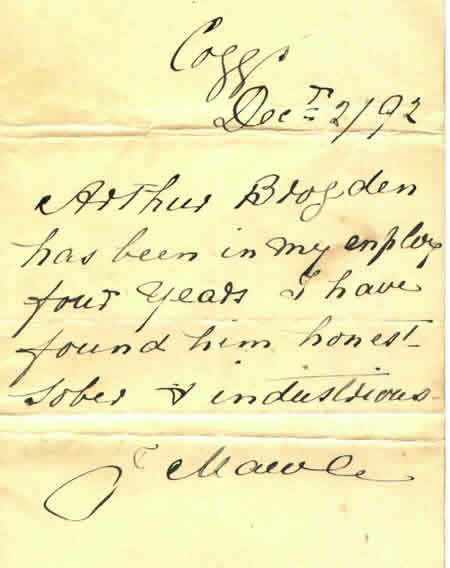 Isaac Brogden (1832 - 1923) became a farm bailiff (farm manager) for the Eynsham Hall Estate and lived in several of their properties including Little Green Farm, Home Farm, Salutation Farm, Barnard Gate and, finally, at Windmill House, North Leigh. The gravestone records the sad loss of several of Isaac's children. 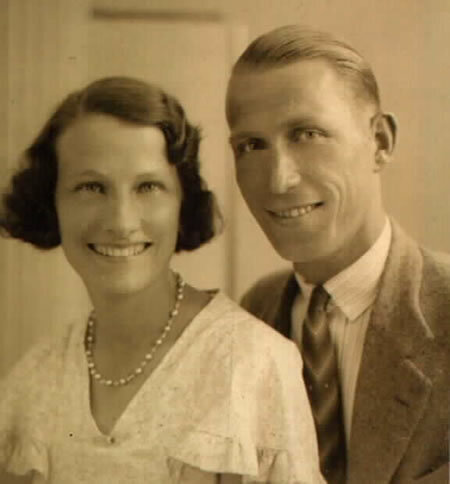 Mary survived, married Ernest Morse and moved to Australia. See next photo. 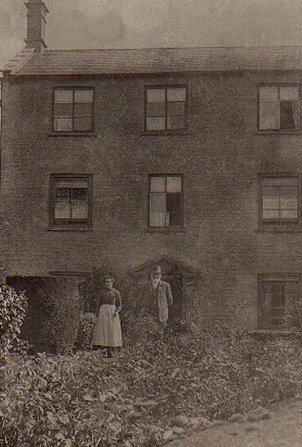 The back of this photo is incorrectly inscribed: "Isaac Brogden and his second wife, Mary, at Salutation Farm, Eynsham, Oxfordshire." 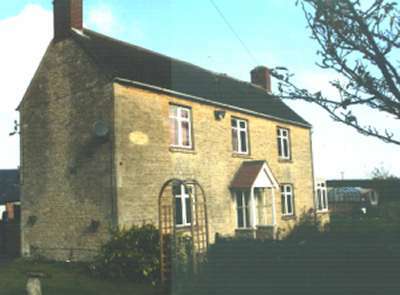 It's actually Windmill House, North Leigh, Oxfordshire, where Isaac retired after the death of Mary. Perhaps the woman in the photo is his daughter Jane who married Thomas Trowbridge and moved to London. 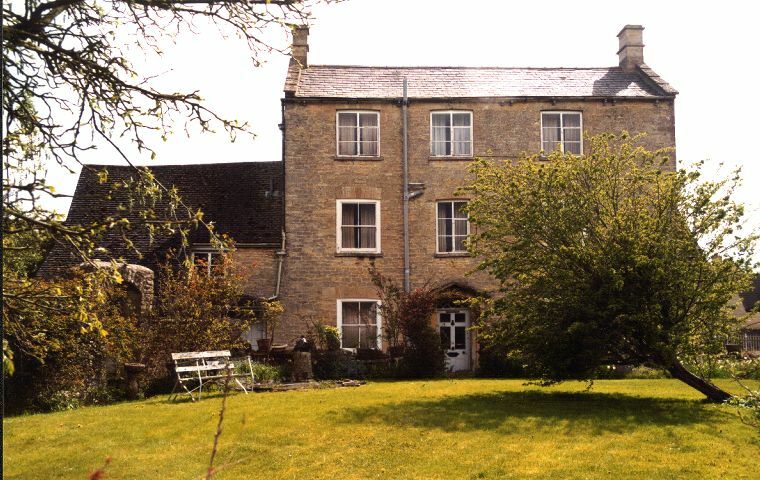 Both Salutation Farm and Windmill House were part of the extensive Eynsham Hall Estate in Isaac's time. They are now in private hands. 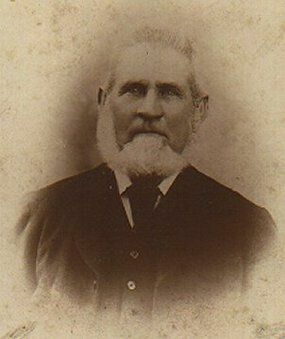 Isaac's eldest daughter, Mary, and husband Ernest Morse emigrated to Australia - Ernest in 1886, followed by Mary in 1888. This photo is owned by Ethel Lawley, Isaac's great grand-daughter in Australia. See photo of Isaac and first wife Elizabeth's gravestone, above. Issac Brogden. Perhaps taken at the same time as the one above. Photo owned by Ethel Lawley. 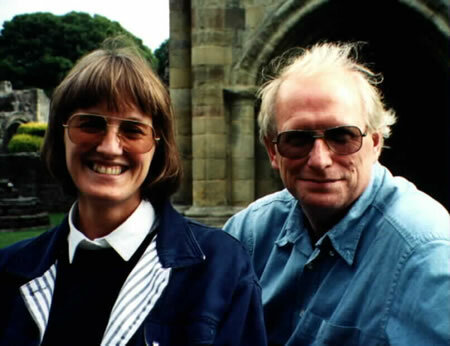 This photo belongs to David Brogden of Cumnor. 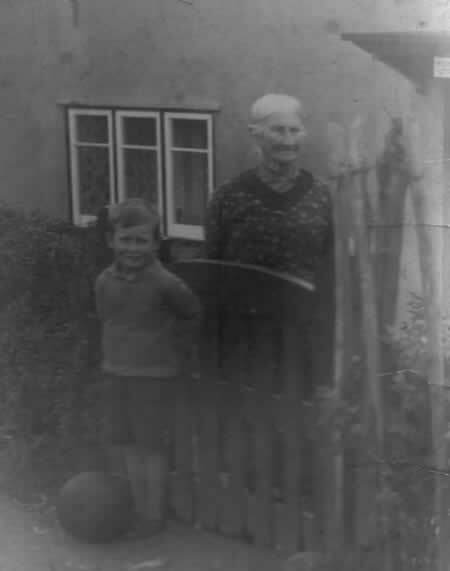 He believes that it shows his great-grandmother, Esther Brogden, of 91 Henwood Cottages, Cumnor (then Berkshire, now Oxfordshire) with her grandson Len (David's father). Esther was known to the family as "Ma." 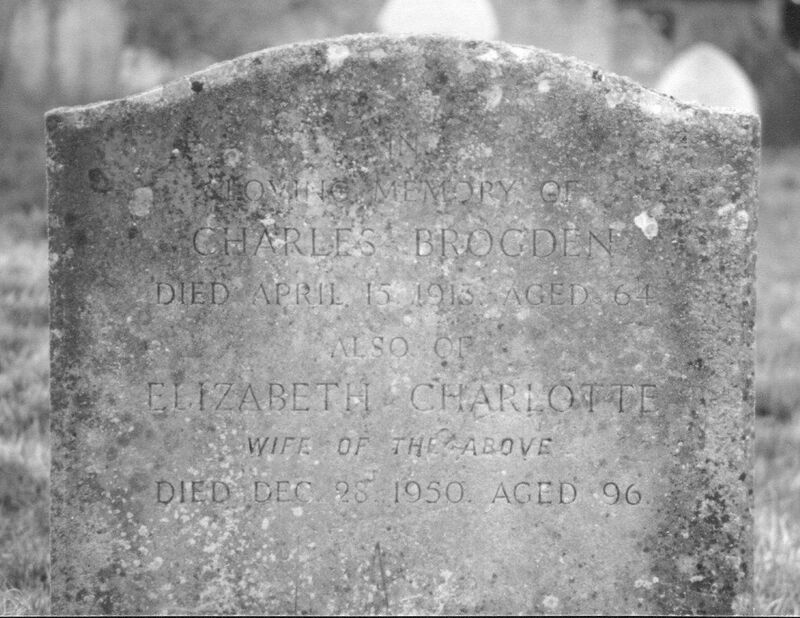 She married William Brogden in 1863 and they had 8 children, two of whom died in early childhood. Esther Brogden may be the Mrs Brogden whose work at home as a trouser finisher is described elsewhere on this website. Two gravestones from the Cumnor, Oxfordshire, cemetary. 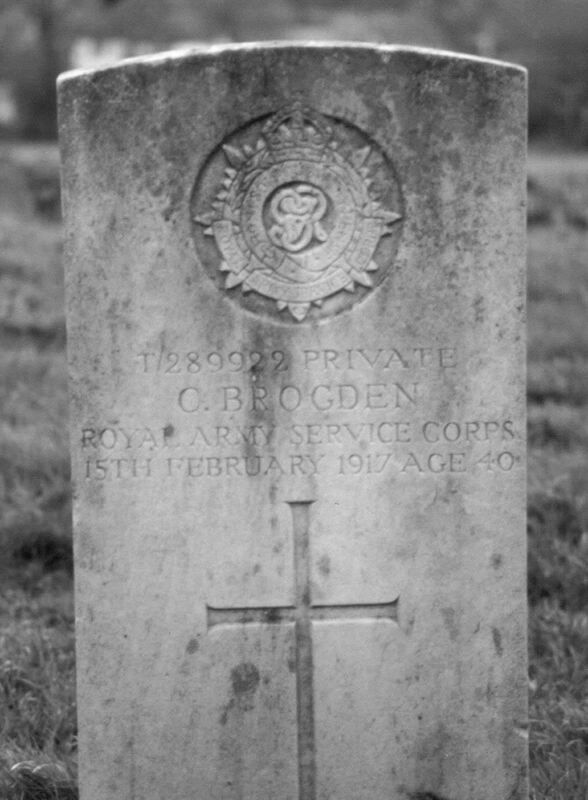 Charles Brogden (1876 - 1917) was the son of John and Rebecca who lived at Rockley Cottages, Cumnor. He was unmarried and served in the Royal Army Service Corps. These photographs were taken by David Brogden of Cumnor. Charles (1849 - 1913), son of Benjamin and Esther of Cumnor, married Elizabeth Pratley (1854 - 1950) and lived at Henwood Cottages, Cumnor. They had 6 children. 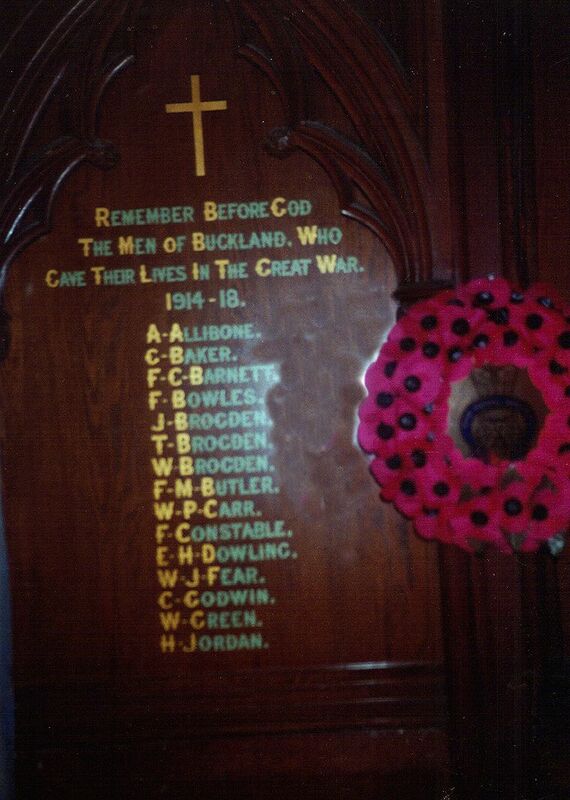 The Buckland, Oxfordshire, First World War memorial. 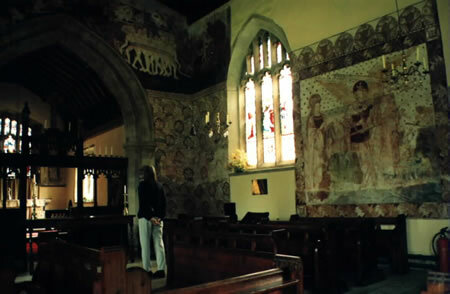 John and Susan Brogden of Aston, near Buckland, had twelve children. Two sons and three daughters died in infancy. Five of their seven sons served in the war but Thomas, James and William did not return. George returned safely after service in Egypt and Edward survived wounds received at the first battle of Ypres.